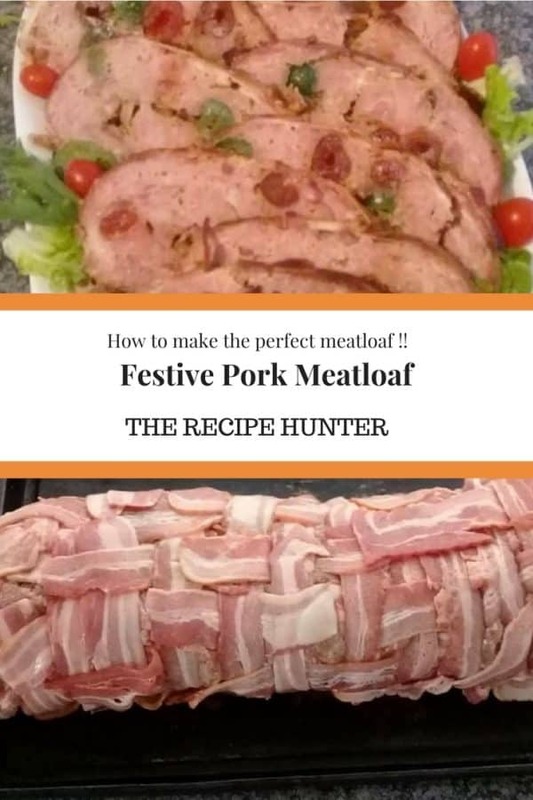 How to make the perfect meatloaf !! Lay out 2 rows of 300mm cling film lengthwise a little longer than the pan you want to roast in. Weave a mat using the sliced bacon (about 1Kg). Spread the mince mix onto the bacon mat evenly. Make several indents in the mince with your finger. Spread about 700g of glazed cherries red and green evenly on the mince and pat down. Lift the cling film along the length and roll into a sausage from both sides until the two ends of the bacon mat meet. Place the meatloaf in the pan with the join at the bottom then remove the cling film. I slow cooked 4 hours @ 120C.